I don't think any year could be quite as awesome of a reading year as 2013, which was the year I first started reading Code Name Verity (and Rose Under Fire), and the year I started reading the Raven Boys series. I didn't find any books this year that rose to that level, but I do have a new favorite author for fun reading, and I did find some amazing books. There are some obvious gaps - I'm only 1/3 of the way through Ancillary Justice, though it might have made the list otherwise. Also, looking at the other 2014 YA best of lists, I'm apparently the only person on the planet who was bored by E. Lockhart's We Were Liars. It wasn't bad...I just didn't connect. Note: these books aren't ones published in 2014, just ones I read in that calendar year. Jarra is a Mary Sue. In fact, she may be the most exaggerated Mary Sue I've read in ages. Everything she does is perfect. And - this gets worse in the sequel - even when she thinks she's screwed up, no, everything is actually better than fine! Everyone is rushing to reassure her about how wonderful she is! It's probably not sounding now like this book belongs on my top ten. But my rage is more connected to my initial love for the book (also, a great deal of my bitterness comes from the sequel, which is one of those ones where the Mary Sue is put in charge of a group of adult experts and somehow manages to outthink the entire military and academic profession to find the solution to a crisis). Still, I'm putting this book here, in memory of that love, and because the first one is still worth the read. Just pretend the sequel doesn't exist. Trust me. a. Something like 75% of the teens are lacking at least one parent. b. Love interests ALWAYS come in pairs. c. Also, newly discovered magical powers seem to inevitably be accompanied by a mysterious handsome boy. I'm sure there are other rules that I'm blanking on – suggestions? Anyway! I love that YA world. 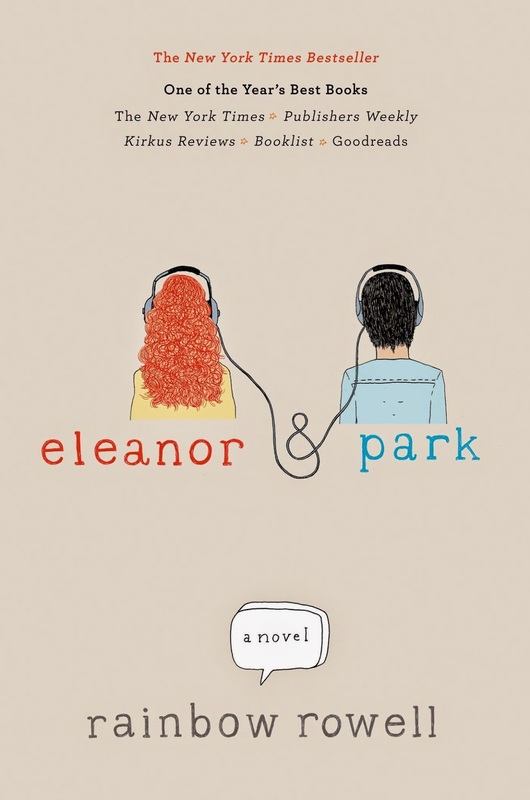 I'm not dissing it, I'm just saying that Eleanor and Park is one of those books that seems to be cut straight out of the real world, and it's all the more chilling for it. But it's also all the more lovely in its portrayal of Eleanor and Park meeting and falling in love. I don't want to say much more about the book, because it's the characters that matter, not the plot. If you haven't read this yet, go do it now. No plot summary, because this is book 3 in a trilogy. 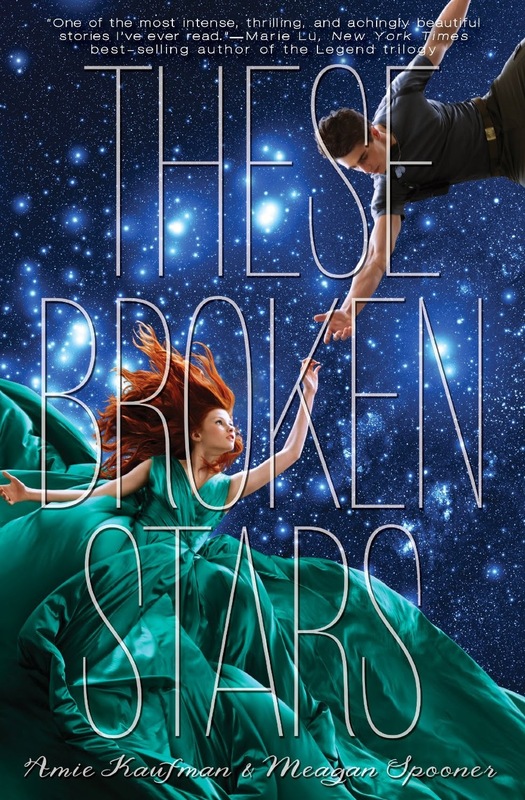 The third book in a trilogy is hard, but Sarah Rees Brennan pulls it off. I got the ending I wanted, but I'm still mad about the cost to get there. But, you know. Good mad. Not throw-the-book-against-the-wall-mad. And Kami is still the best heroine in the history of ever. Plus, her dad rocks, which is not something one often says about YA dads. Seriously though, this is NOT a book for everyone, and especially not for young teenagers. Hanna is, as many bipolar teenagers are, suicidal. So, trigger warning for suicidal thoughts. Also, the gore level is relatively high. There's one scene that still makes me cringe to think about it. 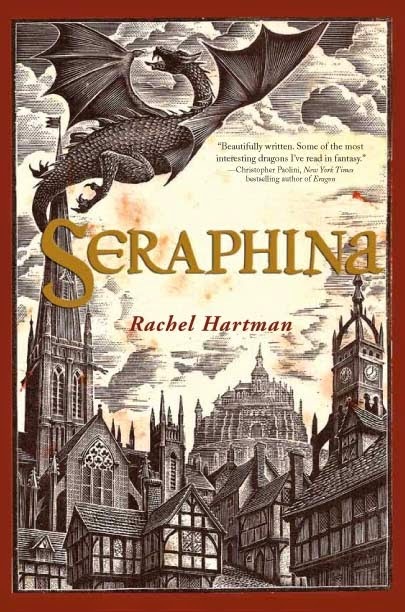 But, for all that, this is a dark, lovely book, and I can't wait to read the next one in the series. Speaking of things I didn't know I needed, I didn't think I needed any books about WWII. I didn't think I wanted to read a book that was entirely letters. I didn't think I'd make it past the first fifty pages. So yeah, I was wrong. This is another book that lives on the strength of its characters and the beautiful friendships that arose between them. And yes, it broke my heart, even though I should have seen it coming. 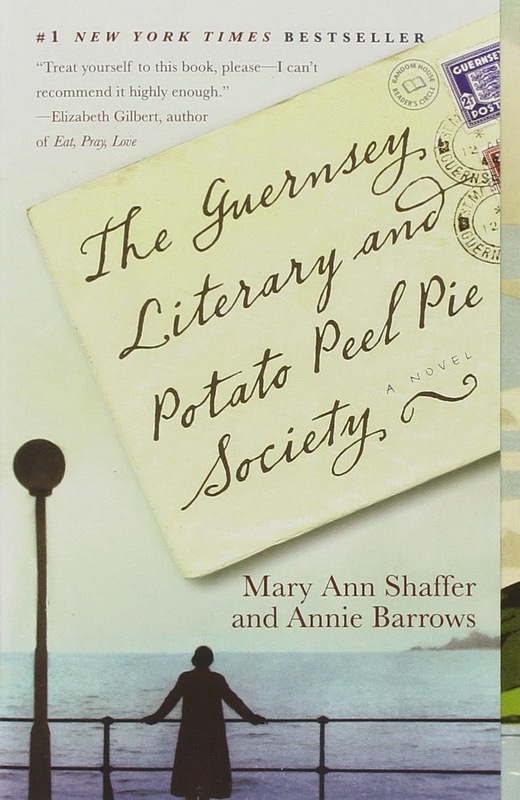 Despite that sadness, when I think of this book, I think of the vivid images of Guernsey Isle it evoked, and the warmth of the friendships it described. Such a lovely book. A lot of the books on this list celebrate the unexpected. I thought I know the basic outlines of a story about a boy and a girl stranded on a planet together. But dang if this didn't take all my expectations and blow them out of the water. There was one part that's about... umm... 2/3 of the way through the book that made me go, "WAIT NO, WHAT?" and then furiously read to the end. And it still managed to surprise me. 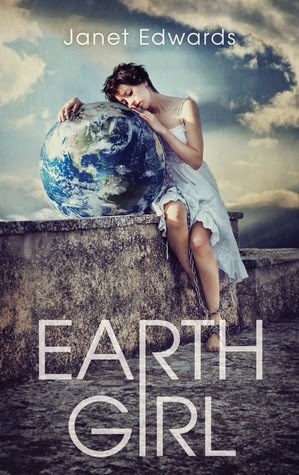 If you decide to read this (and you totally should), be aware that the next book features a different couple, so the trilogy is connected world rather than one love story spread over three books. I'm on the waiting list for the sequel at the library- is it ready yet? How about now? How about now? 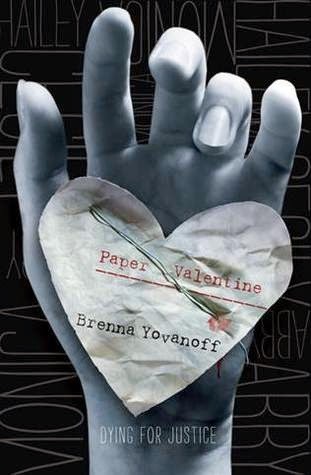 Fun fact: Brenna Yovanoff is Maggie Stiefvater's critique partner. I stand in front of him, trying to figure out how to look friendly or normal and where to put my hands. I never used to have to think about any of that-it just came naturally. It seems ridiculous suddenly that people have hands and no place to put them. "I'm sure your parents already told you to be careful about talking to strangers and not to go places alone, right?" I nod, peeling a stray piece of tape off the counter. The number of times I've been told this in the past twenty-four hours is beginning to rival the number of days when the thermometer at the bank has broken a hundred. Days when the sun sits over the city, blindingly white and baking everything to a hard, brittle crust. The nights when I let Lillian's ghost in bed with me, because maybe she's cloud and vapor and not really real, but the dry chill of her next to me is better than empty silence and brutal, unrelenting heat. But mostly, what made the book was the relationship between Hannah and Lillian. Lillian died from complications due to anorexia, and Hannah is still very angry with her. Too often, ghosts are portrayed as idealized versions of their human selves, or as monsters. But Lillian is still herself, but finally able to address the frailties that led to her anorexia, and why no one could save her. It still breaks my heart to think of it. This was one of the first books I read this year, and I loved it instantly. Admittedly, because I read it in January of last year, I'm having difficulty recalling minutae of the plot. So I'll just say awesome, unique dragons + fantastic worlbuilding + music + love story + fabulous heroine = total win. And the sequel is ALMOST OUT. Have you all read this yet? You should. Okay... this isn't really a book, but a celebration of my new favorite author. I can't pick any of their (Ilona Andrews is a husband and wife writing team) books as one of my favorites, but I basically glommed their entire backlist in like a month. They are the people whose fault it is that I can no longer proclaim my hatred of urban fantasy loud and clear, because their Kate Daniels series is essentially crack in book form. They do write adult fantasy and not YA, and there are Adult Scenes, but they're not terribly egregious. And holy cow, how I love them. I own all their books. No joke. I recommend starting with the Kate Daniels series, but you have to give it at least two books, because the first one is kind of shaky (it's their first novel). But their growth in the series is exponential, and I was totally hooked by book 2, and a slavish fan for life by the end of book 3. But Willow does not wish for her daughter to lead the lonely, heavy life of a binder, so she chooses another as her apprentice. Otter is devastated by this choice, and what's more, it leaves her untrained when the village falls under attack. In a moment of desperation, Otter casts her first ward, and the results are disastrous. But now Otter may be her people's only hope against the shadows that threaten them. I almost didn't read this book because of its cover. 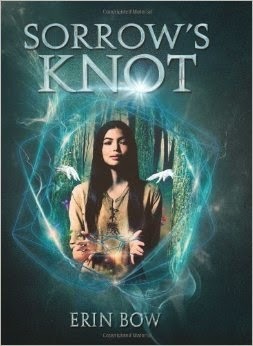 The cover screams hippy-dippy native american story about how Life is Magic and Everything is Connected. 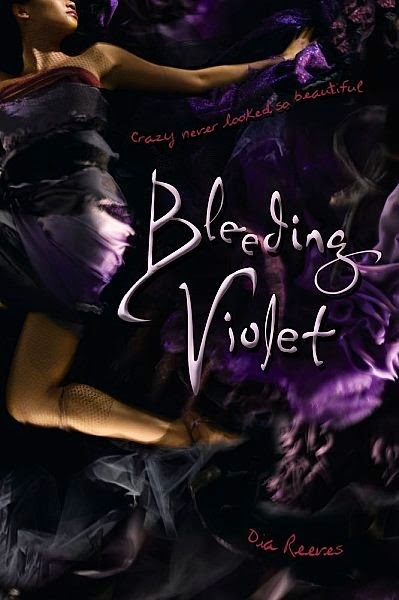 But I really liked the author's first book, so I gave this a chance, and I'm so glad I did. This is a dark, complex, deep story about death and how we deal with it, and a perfect metaphor for how hard it is to let go of those we love. My definite favorite book that I read last year. A+. Read it now. There you have it! What were your favorite books of the year? What do I need to add to my reading list right away? 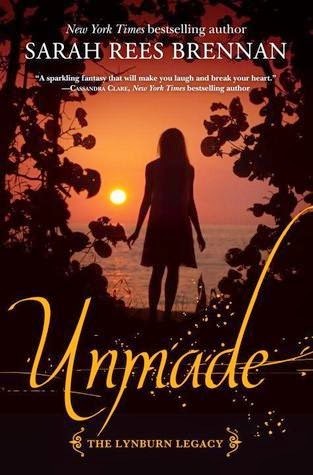 I've read the two books before Unmade--I can't believe I haven't read that one. There are a lot of other awesome sounding books on this list too. Thanks!